The US Navy has revealed it has its first two female candidates for special operations posts previously unavailable for women, including one who could become its first female Navy SEAL. One of the candidates is seeking to become a special warfare combatant crewman, while the second is seeking to become an officer with the SEALs. Neither of the candidates has been identified, as is usually the case with members of the special forces. Fc To purchase sporting kits. Some 49 members of the Catholic Church are accused of carrying out the abuse between 1945 and the early 1990s, according to the report’s findings. Victims said the experience was like “a prison, hell and a concentration camp”. A 2016 report into the allegations said that 231 children had been abused. 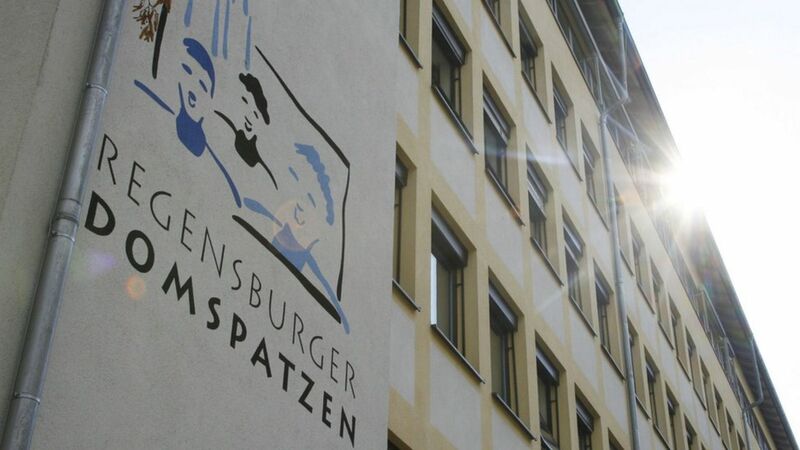 The alleged physical abuse relates to children attending both the Regensburger Domspatzen’s pre-school and high school, according to the lawyer tasked with investigating the abuse, Ulrich Weber. – Acting President Yemi Osinbajo received Malala Yusafzai and her delegate in Aso Rock before proceeding to a closed-door session – Malala had visited former President Goodluck Jonathan in 2014 after the abduction of the Chibok girls Malala Yousafzai, the internationally acclaimed rights activist and founder of the Malala Funds and girls’ education, visited Acting President Yemi Osinbajo in Abuja on Monday, July 17, 2017. President Trump reacted to a new poll that shows his approval rating has slipped to 36 percent — the lowest of any president at six months into his presidency. According to an ABC News/Washington Post survey released Sunday, Trump’s approval rating is down 6 points since his 100-day mark, with 58 percent now disapproving of his job as commander in chief. The president dismissed his dismal approval rating in a tweet. Lovers and followers of American history will be very familiar with these two names above. They were the 16th and 35th Presidents of the United States respectively. While Lincoln and Kennedy lived nearly a century apart, there are some comparisons about the both of them that pricks a lover of history and politics. These facts first appeared after Kennedy’s assassination and it has been in the historical space since. Ayomide Akinbode outlines these facts and the burning question remains — was Lincoln and Kennedy the same man who was born and lived, became a president and was killed and born again and lived, became a president again and was killed again – shot in the head? Enjoy!